Style Theory: The Bomber Jacket, the outerwear shape this Spring and Summer. It is cool, laidback and edgy, either in florals, silk, denim or jersey, the bomber is a versatile jacket that can be dressed up or down. 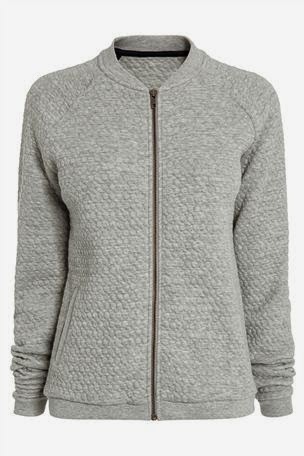 It is fabulous for flinging on for the schoolrun, can be layered on top of a biker or denim jacket or in the summer can be worn over dresses to add an urban edge. I chose the red jacket, the fabric is a mid weight, quilted jersey so it really lends itself to layering, I wore my denim jacket and a grey sweater underneath, and paired it with black ankle length jeans and my trusty Adidas Superstar trainers. This is my comfort zone, I had a busy day of running around after the kids, parties, swimming etc so practicality reigned supreme as usual. It is a great alternative to the traditional cardigan, the red is a beautiful vibrant shade so looks good paired with greys, denims and black. I was a little slow off the mark with the bomber jacket trend but I am now a convert and do tend to wear them instead of my usual cardigans/coats. Are you a fan of the bomber jacket, did you jump on board the trend a bit quicker than my slightly late arrival?! Or do you prefer a more tailored look? Click on the links under the photo of the other Mum fashion bloggers to see the details of their styling and other fashion ideas. I think that looks fab on you and really suits your style. I'm not sure it's a look that would work as well on me, as my style tends to be a bit more tailored - if that makes sense? But that colour is gorgeous on you and it's really great to see how the same jacket can be styled in so many different ways. Love! I've just ordered red! 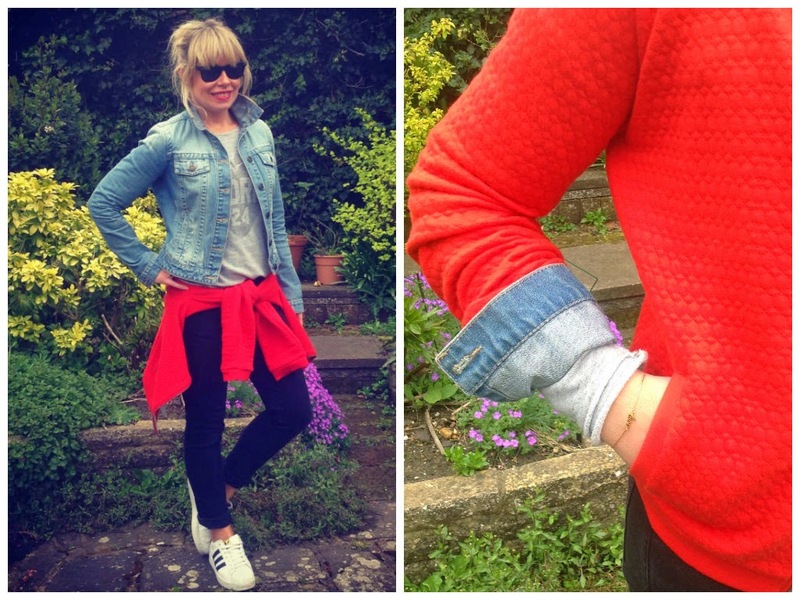 Love how you've styled it Frances, it looks fab with your denim jacket underneath - just gorgeous. But the red is lovely on you - love the matching lippy too. You honestly do colours so well. I absolutely LOVE it layered over the denim jacket - just fab! The red looks great on you. What a wonderful collaboration. Would never have thought to put it over a jacket - what a genius idea! Looks great and is amazing how different one jacket can be. I love this post and seeing how everyone has styled it. You look fab in that colour and love it with the trainers! 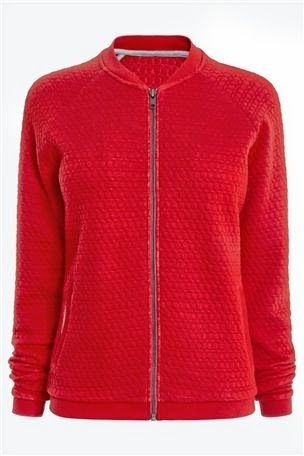 Love this cute bomber jacket and the red looks amazing on you!